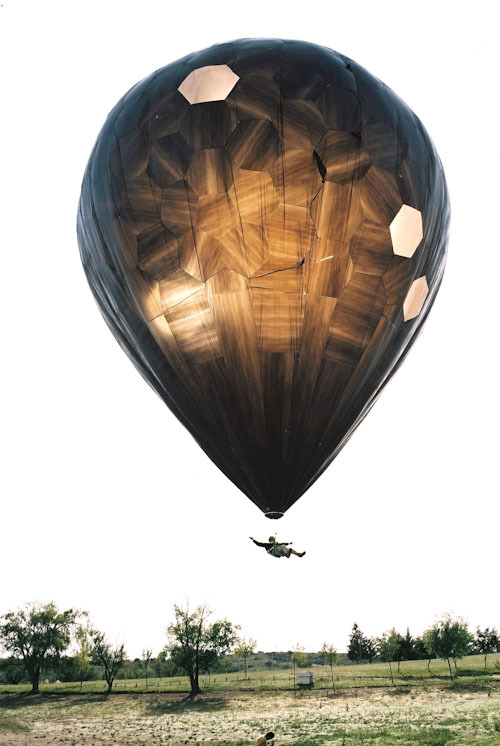 Tomàs Saraceno is an artist and architect working on experimental structures. He has created a hot-air balloon powered by sun light and made only with garbage bags, transparent tape, rope, bicycle wheels and other easily found materials. The process of creating such a flying device is broken down in 59 steps that anybody can understand and build for himself. The amazing thing is that Tomàs is sharing the instructions with everyone. I know what I’ll do next summer… And you? Download the pdf with instructions here. /via the excellent Colossal (if you don’t know them by now).